First off, place the stone brick stairs on some sort of table top, facing away from you. 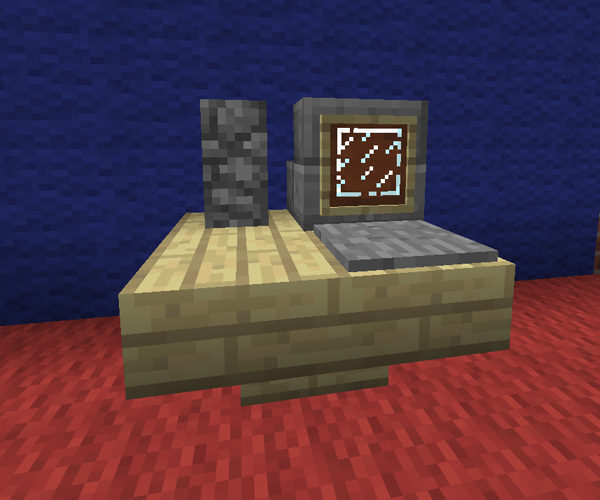 Now on the end of the stairs, place the Item Frame and then the Glass Pane in the item frame. Now, place the Pressure Pad in front of this to represent the keyboard. 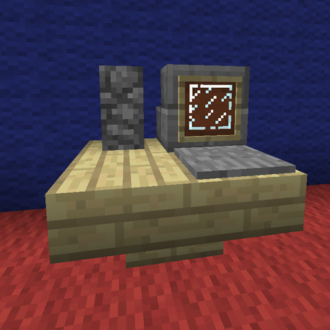 Finally, place the Cobblestone Wall down beside the stairs to represent the desktop PC itself.